Live from Second Inversion studios in Seattle, WA, Deviant Septet plays Stravinsky's Petit Concert from L'Histoire du Soldat. 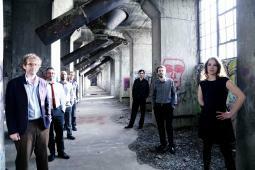 Live from Second Inversion studios in Seattle, WA, Deviant Septet plays Roman de la Rose, by Elliot Cole. Live from Washington DC's Atlas Theater, Deviant Septet plays Randos III by Ted Hearne.